The Multi Flex is a manual porter chair designed to support different posture requirements. It features a push handle and separate waterfall back cushions that can be individually repositioned. Available in 4 different colours. The Multi Flex Manual Porter Chair has been designed to support different posture requirements. The chair features a push handle with lever that adjusts the angle of the back rest. The separate waterfall back cushions can be individually repositioned for comfort and support and you can tilt the seat to angles of 10°,15° and 20° to aid comfort and support. Additional features are a sliding padded footplate and heavy duty lockable castors. The back and seat cushions are upholstered in a vapour permeable multi-way stretch fabric. Available in the following colours – Navy, Chablis, Rose or Emerald. The below interchangeable seat cushion are available that allow you to adapt for each users pressure care requirements. Viscoform – Suitable for those who have good posture and mobility but are seated for greater than one hour at a time and require pressure relief and supported comfort. This cushion has a high density foam base which offers a supportive and firm seat base with a top layer of memory. Liquiform - Designed for those who have good posture and mobility but are seated for long periods of time and require pressure relief and supported comfort. Excellent for people with a small amount of fatty tissue. This cushion has a high density foam base which offers a supportive and firm seat base topped with a fluid liquid gel in a soft silicone cover to provide high levels of pressure relief. The liquid gel helps to dissipate heat and constantly adapts to movement. Price includes delivery, installation and demonstration. 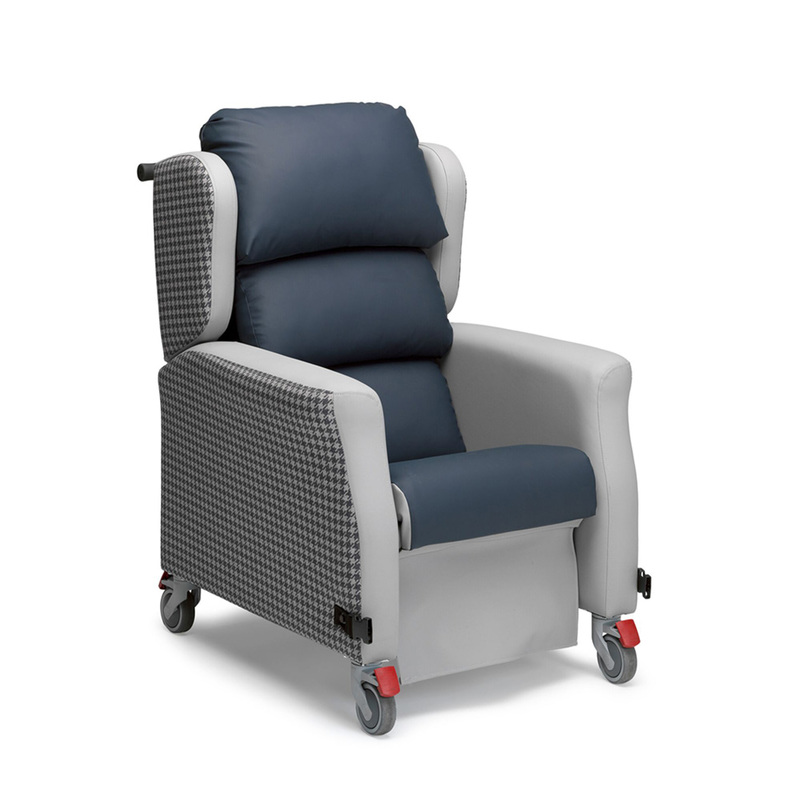 We have arranged for a full delivery, installation and demonstration service to be provided to you when you purchase the Multi Flex Manual Porter Chair as the weight of the chair means that it has to be delivered in two sections for safe transportation. As all orders are manufactured to your specific requirements, delivery will normally take approximately 3 weeks. You will be contacted to arrange a suitable installation date.